Plantar fasciitis affects about 10% of runners, but it’s also the top cause of heel pain in adults whether they run or not. 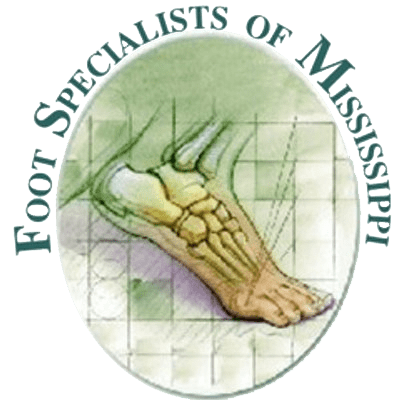 Vern Christensen DPM, MPA and Jeffery VanYperen, Jr., DPM at Foot Specialists of Mississippi have extensive experience relieving the pain and inflammation of plantar fasciitis. Don’t suffer from heel pain too long because plantar fasciitis can worsen over time. To schedule an appointment, use online booking or call the office in Amory, Mississippi. The ligament that connects your heel to the base of your toes is called the plantar fascia. It has the critical job of supporting your arch and helping to absorb shock. When your plantar fascia undergoes pressure or develops a tear, or you suffer an injury or have a structural problem with the arch, the ligament becomes inflamed, a condition called plantar fasciitis. The hallmark symptom of plantar fasciitis is pain. Although it primarily causes heel pain, you may also feel pain in the arch. Some patients develop swelling on the bottom of their heel. The pain is typically worse when you begin to walk after resting or sleeping. When you don’t use your foot, the plantar fascia tightens, so the sudden stretching of the inflamed tissue when you put weight on your foot triggers pain. This type of pain improves as you keep moving and stretch the plantar fascia. The doctors at Foot Specialists of Mississippi are experts in diagnosing and treating plantar fasciitis. After a thorough examination, they may conduct diagnostic imaging like ultrasound to verify the severity of your condition. You may need to temporarily immobilize your foot or avoid activities that aggravate the ligament to give it time to heal. Your doctor shows you stretching exercises you can do at home to relieve symptoms and prevent recurring problems. In some cases, physical therapy is prescribed to stretch and strengthen soft tissues, reduce inflammation, and promote healing. Full-length orthotics and heel cups help support and cushion your heel while taking pressure off the plantar fascia. Your doctor may prescribe customized orthotics to correct structural problems contributing to plantar fasciitis. Oral and topical medications or corticosteroid injections reduce inflammation and alleviate pain. When your plantar fasciitis doesn’t respond to other treatments, the doctors at Foot Specialists of Mississippi can provide ESWT. ESWT is a noninvasive procedure that uses high-energy sonic waves to stimulate healing. If you still have symptoms after trying conservative treatments for about 12 months, your doctor may perform surgery to relieve tension on the plantar fascia. You can get relief from the pain of plantar fasciitis — call Foot Specialists of Mississippi or book an appointment online.